LOVELY MAUI HOMES-Maui Real Estate- Search all Maui properties. Maui Real Estate at your fingertips is why we were voted Maui's best real estate site. Lovely Maui Homes has made it easy for you to find and save any property that you are looking for. You can save your searches, or even individual properties, into your own files on this site. We make it easy for you no matter what device you use. This site works on all devices. Maui is a lifestyle and that 's why we say "Life is good...Maui's better!" It doesn't get any better than this. Maui is the best place to purchase your new vacation home or future retirement home. Maui is truly the best place on earth to live. Selling your Maui home: We use the best and newest technology to sell your home. We are so sure of our marketing that if we don't sell your property on terms we agree on in 69 days, you don't have to pay our commission. Please click here to see what your home is worth to get the ball rolling on getting you the best price for your home. We have a 63 point marking plan that will get you top dollar in the fastest amount of time guaranteed. 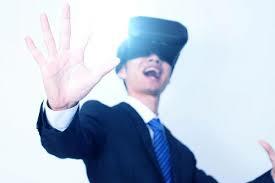 We will also make a 3D Virtual Reality tour of your home to market it to the world. 3D Virtual Reality tours are the best way to market your home online. This fantastic program is for Maui residents only, or people planning on moving here to become a Maui resident (by closing date). This No Money Down Program has been stepped up to helKaimana's's get into there first home. The system can help fix your credit or establish your credit if need be. There are a few things that you'll have to be prepared to do to get a home with no money down. Click here to get to the no money down page.